Commercial Supply Distributors meets the demands of our customer’s space requirements with an extensive line of intensive use furniture collections and heavy duty metal furniture. Below is a small sampling of the residential and institutional arrangements we have available. Our heavy duty metal chests, nightstands, desks and wardrobes are available in a variety of Formica Laminate tops and accents. Not only does our commercial grade furniture offer durability and space efficiency, you’ll also benefit from its attractive modern design and choice of over 30 colors. Download the Furniture Color Selection chart and call us for more details on our intensive use, commercial grade furniture collections. 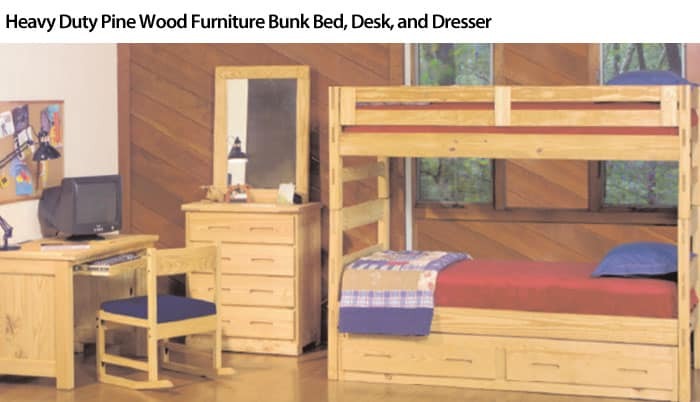 CSD’s affordable line of heavy duty pine wood furniture adds a touch of home to any setting. With 3-ply side and back panels, our solid wood furniture is virtually indestructible and will give you years of maintenance-free use. Raised fronts on all of our sofas, loveseats and chairs make for easy cleaning under these pieces. Designs are available in both the traditional closed-end Classic style and the open-sided Pickett style. Seating cushions are reversible, zippered for easy removal and can be replaced when they become worn or damaged. Our standard cushion foam meets California TB #117 code. Optional foams and fabrics that meet more stringent fire codes are available. We offer a large selection of contract-grade fabrics and vinyls from which to choose, including wear resistant Crypton® fabrics. You can view our full line of wood furniture on the Pine Wood Furniture page. 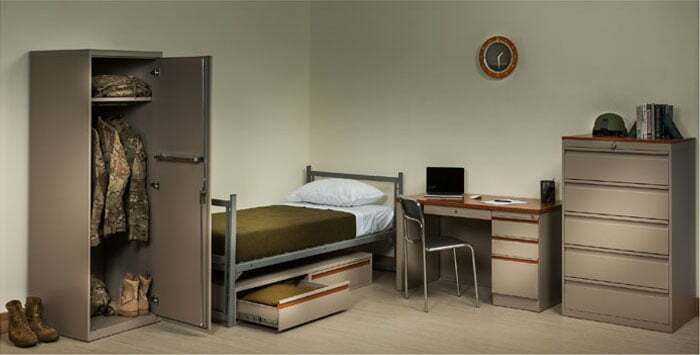 Commercial grade heavy duty seating solutions for correctional facilities, government housing facilities, corporate offices, universities, and rehabilitation centers. View CSD’s full line of intensive use seating on our Commercial Grade Heavy Duty Seating page. CSD’s commercial grade, heavy duty corrections seating is designed for intensive use environments and is manufactured with superior quality and craftsmanship. This furniture is durable, versatile, and designed to withstand the high intensity environments.